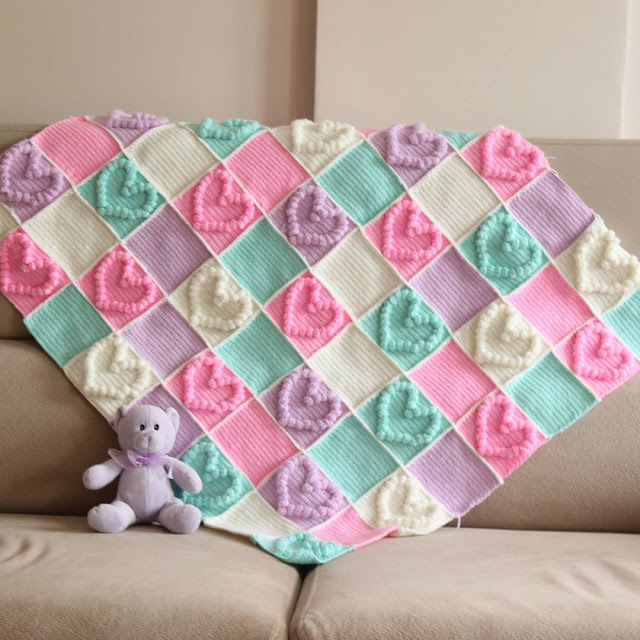 These Heart Bubble Stitch Baby Blanket Free Crochet Patterns are very beautiful and have romantic effects. There are two different patterns below and the one on the bottom is easier than the top one. You can choose the one you feel comfortable to work on. The pattern is created by making individual squares and joined together in the end. Make your own with any of two free patterns. Thanks Bauta Witch and Joanna Stawniak for sharing these free patterns and video tutorial. The links for the free patterns are provided below photos. Happy crocheting. If you don’t know how to crochet, you can order from Etsy.